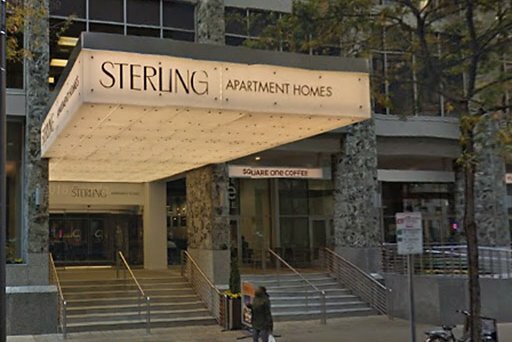 The Sterling Apartment Homes building at 1815 John F. Kennedy Boulevard in Center City Philadelphia. In the latest monthly report from rental site Zumper, rates for two-bedroom apartments in Philadelphia went up in February, while one-bedroom rates stayed level. 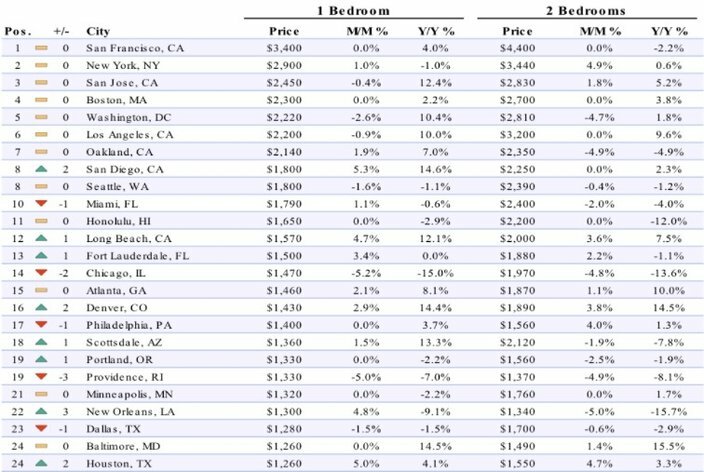 Philadelphia falls within the top 20 most expensive rents in the country, at No. 17. The city nonetheless remains one of the cheaper places to rent among major Northeast cities. Zumper comes to this data after selecting among 1 million nationwide rental listings and aggregates according to the population from city to city. Zumper offers more details on its methodology here. According to the report, one-bedroom rentals in Philadelphia had a median $1,400 value, while two-bedrooms had a median $1,560 median during the month of February. Though the one-bedroom rate showed no change compared to January, the two-bedroom rate saw a four percent increase. Compared to 2017, however, it’s the one-bedroom places that are getting more expensive – this year’s rate is a 3.7 percent jump from February of last year. Two bedrooms yielded a year-over-year 1.3 percent increase. The five most expensive rental properties of February 2018, in order, were found in San Francisco, New York, San Jose, Boston and Washington, DC. Check out the full report on Zumper.